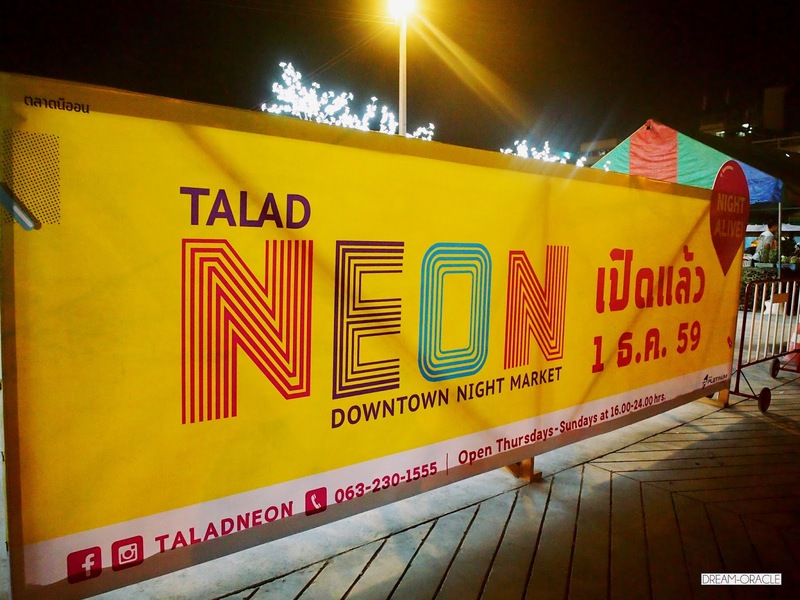 Talad Neon is the newest and biggest night market in the city and it is opened by the same people behind the Platinum Fashion Mall. Officially opened in December, this lively market is conveniently situated in Pratunam and it houses over 900 food and retail shops. 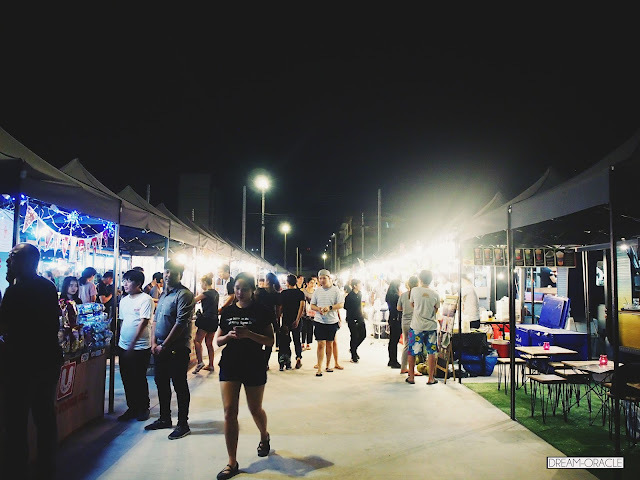 You can expect to find organized rows of beautifully set up stalls with fairy lights, food trucks and whimsically designed shipping container shops where cheap and good items are being sold! I actually got my phone a tempered glass screen protector for 100baht! That's around SGD4, a very good deal indeed. Especially since the guy worked extra hard to clean my phone for me too haha! Talad Neon is an all-encompassing experience that not only allows customers to eat and shop to their hearts’ desires. They also have live music performances on-site every night. The festival vibe is strong here with funky neon lights, lighted blossom trees and enchanting fairy lights everywhere, setting it apart from the usual night markets that Bangkok is so popular for. 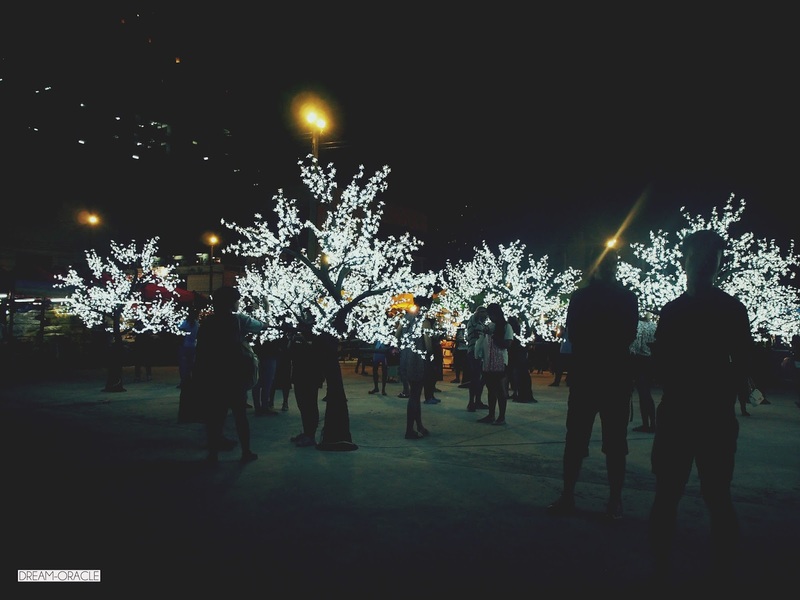 These lighted trees make for a good rendezvous spot for big groups, people who are afraid to get lost, and for the perennial eater who needs a spot to indulge uninterrupted. 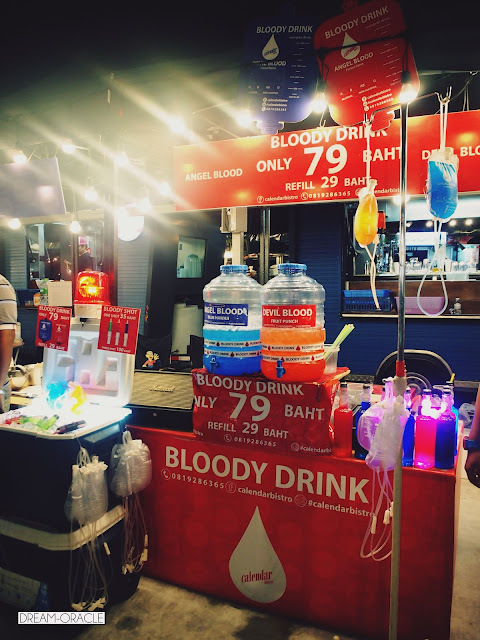 You can find lots of hipster looking food and beverage items, like this bloody drink in bag for 79 baht or have a syringe shot in a smaller dosage. 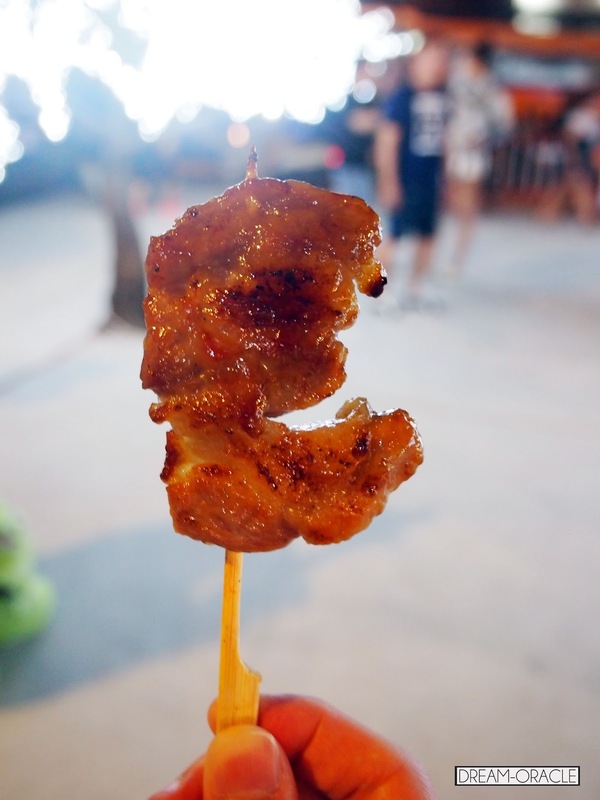 One stall I greatly recommend is this grilled pork skewers. 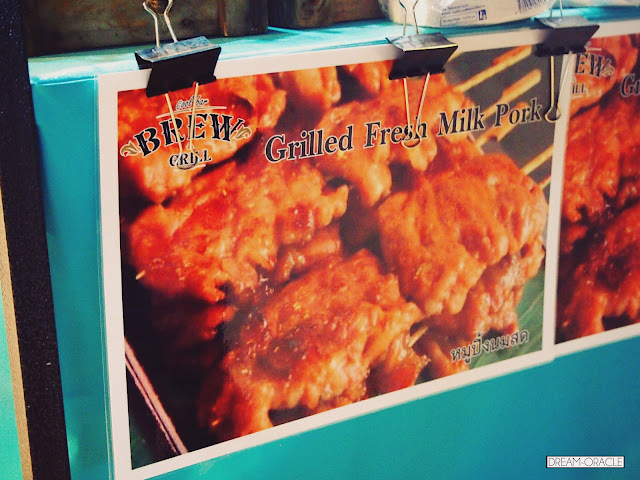 If you think this is just the usual satay we have in Sg, you are greatly mistaken. But if you want the Sg style satay, they also have la. I tried it from another stall, super not impressive. Sg has better. So skip those and TRY THIS. I don't know what is milk pork, but for some unknown reason the skewers were impossibly tender and juicy with that charred smoky flavour bursting in your mouth. 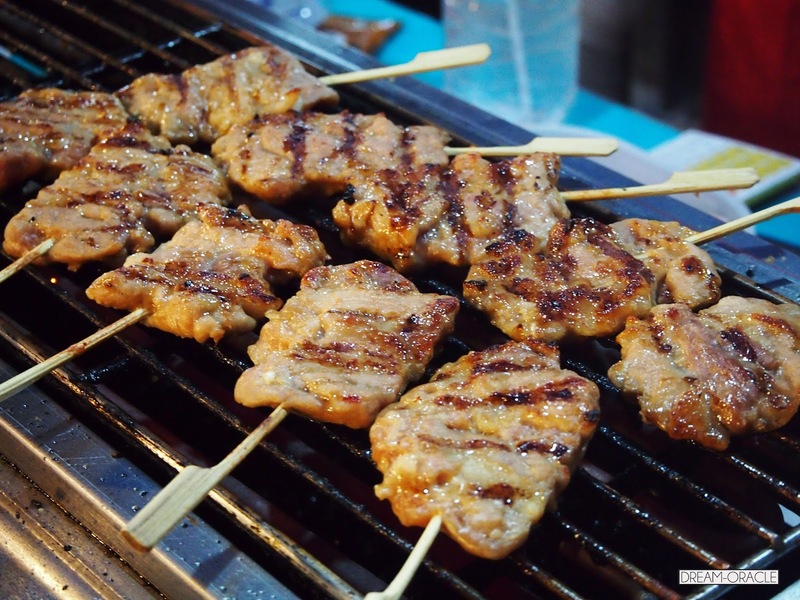 The most wonderful pork skewers I have ever tasted, it was life changing. If you are there, MUST SAVE STOMACH SPACE FOR THIS. 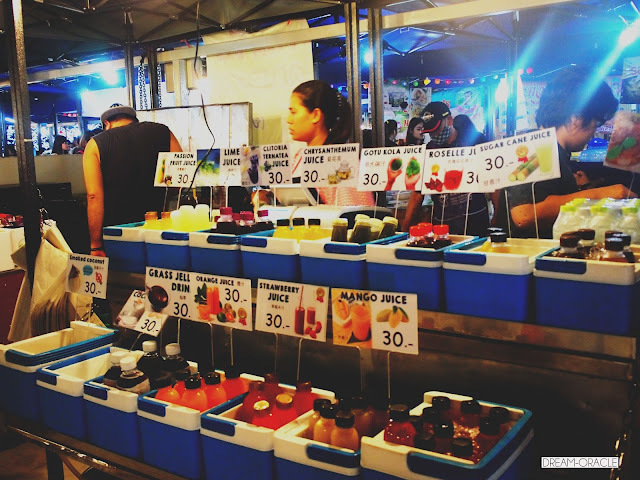 Okay so I get it, night market foods are always heaty so drown out the fire with some fresh squeezed juice! 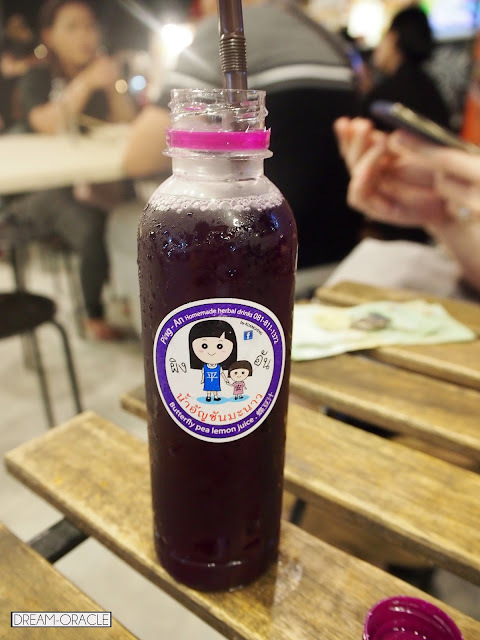 It is very cheap and refreshing so you can drink to your heart's content, but in moderation please, in case you laosai from too much juice. I went for the butterfly pea lemon juice just because the colour was intriguing hahaha! 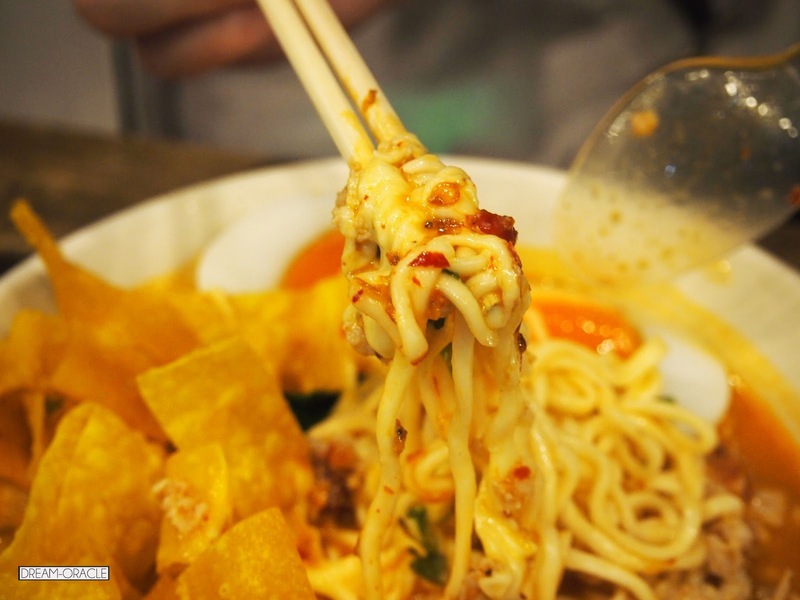 I was having mad spicy tom yum noodles HAHA! Look for this food truck if you're there, spiciness aside, I really like this bowl of noodles! 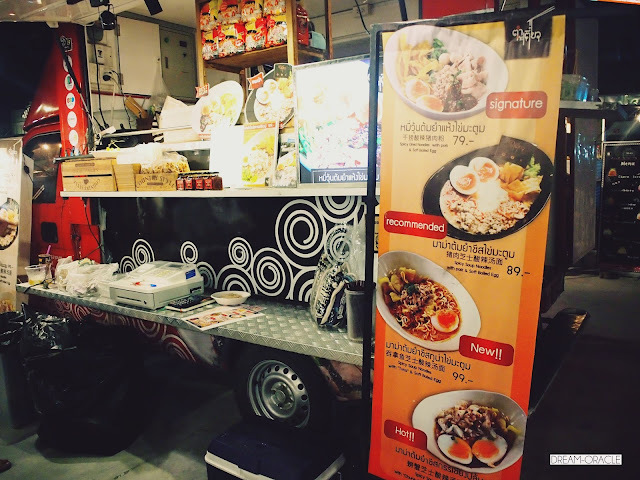 For some reason it reminded me of a fusion version of our Ba Chor Mee. 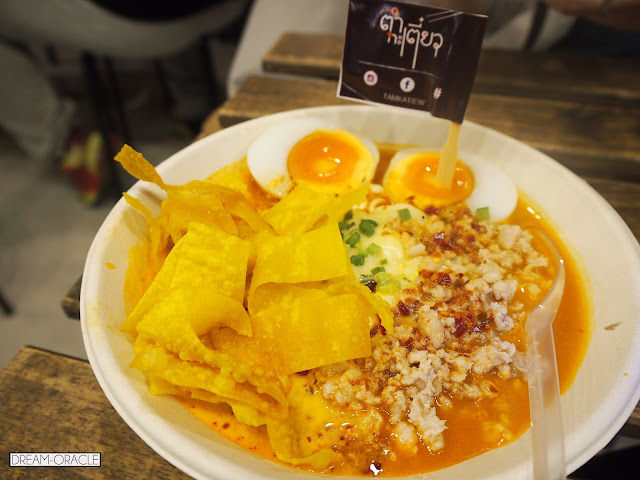 Tom Yum soup base, but lots of minced meat much like our beloved Ba Chor Mee, plus an oozy egg like in Japanese ramen, and topped with crispy fried wonton skin like in Wonton mee. If you eat this, run down the street and get juice, its nearby. Mad delicious, but also mad spicy. Thumbs Up: Good vibes, and such clean and smooth pavement haha! To Improve: The dustbins congreagete at a corner, bit hard to find. 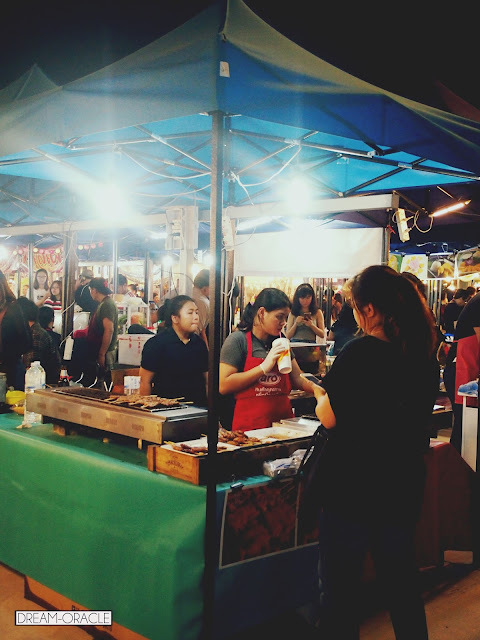 Why: I like the variety of cheap and good food. Thursday to Sunday, 5PM – 12AM.